Our guest post comes from George Kelly, a gifted travel writer who has lived in California his entire life. He enjoys RVing, hiking, fishing, writing and photography and has traveled extensively throughout the United States enjoying these hobbies. If you and your significant other enjoy preparing meals together and haven’t discovered Newcastle Produce you are in for a very pleasant surprise. 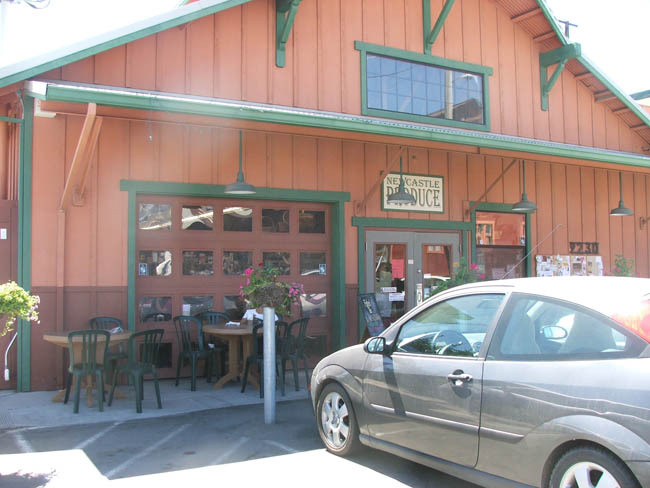 Located just off of highway I-80 in the small historic town of Newcastle, CA., among some old fruit sheds, it is not the place you would expect to find a thriving gourmet food business. In the years since Jan Thompson first opened Newcastle Produce she has built a large clientele not only from the surrounding area but, with her mail order business, from as far away as the State of Maine. Don’t let the name of Newcastle Produce fool you into thinking that all they offer is produce. 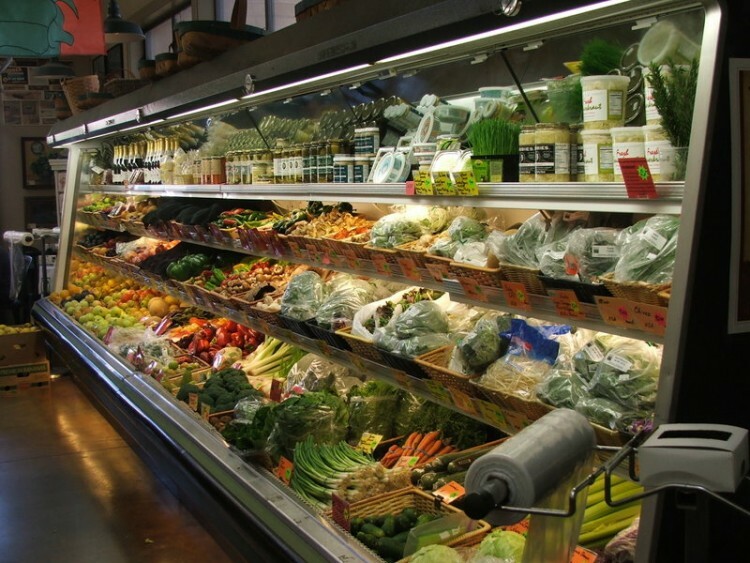 Yes, they do have a large selection of some of the finest produce to be found anywhere. Jan buys from local farmers so she can offer items that in many cases were picked just yesterday. Jan and her husband Francis also own Twin Brooks Farm where they pick many fruits and vegetables early each morning to be offered for sale, in their store, that day. This is a freshness that cannot be found in even the best of supermarkets. 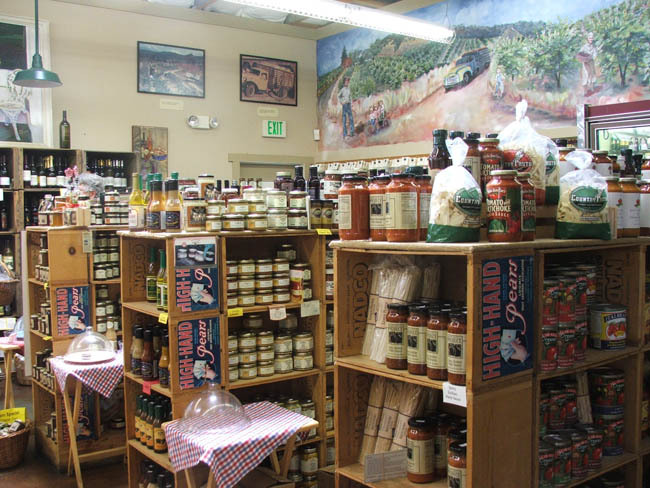 Having been in the gourmet food business for many years before retiring I can say that you would be hard pressed to need some product for that special meal and not be able to find it at Newcastle Produce. 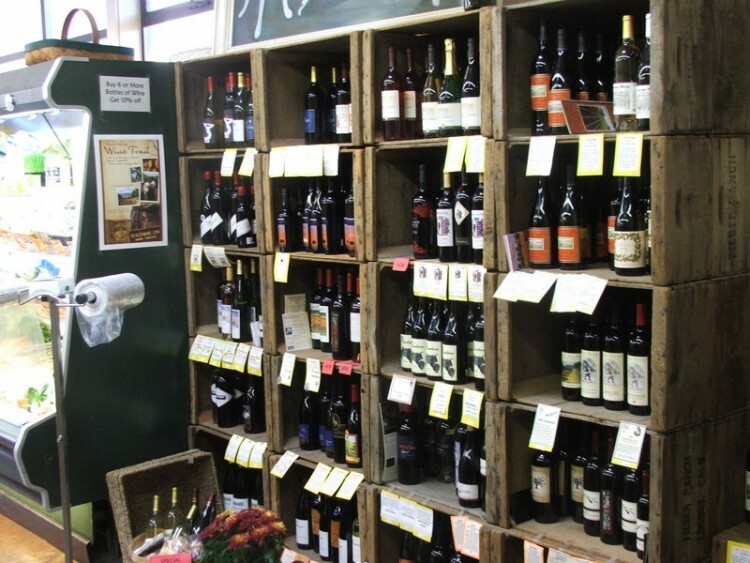 In addition to the produce, consider the many fine wines from nearby wineries, BBQ sauces, pasta sauces, marinades, olive oils, flavored oils, numerous mustards, jams of almost every kind, many varieties of cheeses, eggs from free range chickens, pastas, artisan baked breads, herbs, spices, local meats from grass fed animals plus dried fruit and nuts and some of the best custom roasted coffee you would ever want to taste. On top of all this, Jan has been able to employ a trained Chef to prepare the many foods that are available to eat in or take out. Chef Chelsea Federwitz was trained and graduated from the prestigious Culinary Institute of America in Saint Helena. 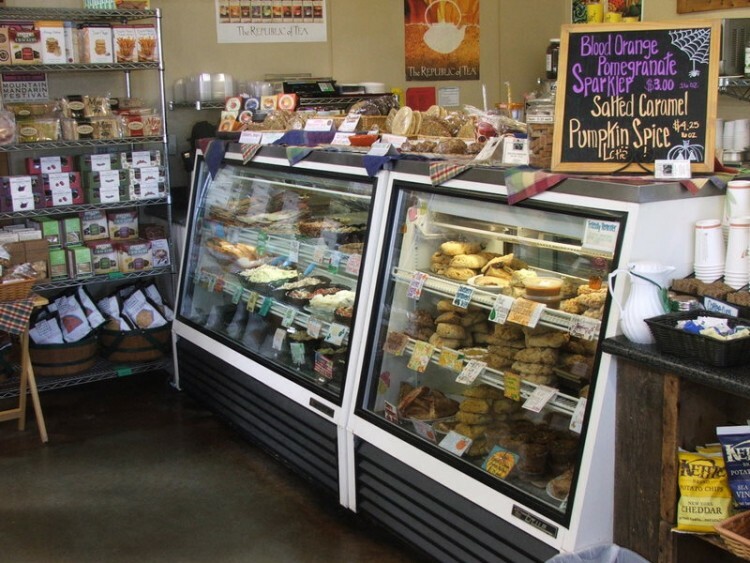 She and her staff prepare an absolutely delightful selection of foods consisting of sandwiches, soups, salads, scones of all descriptions, seafood burritos, fruit turnovers and many, many more items. These are all tastefully displayed in their deli counter to help you with your selection. Chef Chelsea also prepares many items for the buyer to take home for an easily prepared evening meal. For those of you wanting to add to your culinary knowledge, Chef Chelsea gives cooking classes that are held in the store after closing hours. These classes cover a wide range of cooking topics designed to be used by cooks seeking to increase their knowledge in the kitchen. Many years ago I attended a cooking school in San Francisco and when I first met Chef Chelsea I questioned how anyone as young as she is could really have that much cooking knowledge. After seeing what she can turn out in a kitchen as small as the one she has to work in, I no longer have any doubts about her skills. Here you will find recipes and information about events they will be presenting in the future. Jan also produces a free monthly newsletter you can sign up for on her web page or by writing her at 9230 Cypress St. Newcastle, CA. 95658, and request getting on her mailing list. It is my hope that you will take the time to drop by and see just what a great store Jan has. I know that if you do you will not be disappointed that you made the effort on any road trip.